Xenoarchaeology is the study of vanished off world, science fiction cultures through the artifacts they leave behind. Rob Maxam is an authority. 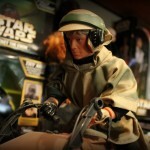 After hours however, Rob spends time with wife Donna and their kids Jake, Madisen and Mackenzie—and entertains his guiltless obsession collecting paraphernalia associated with the greatest science fiction series in film, Star Wars. 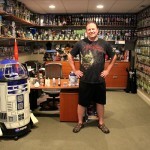 During a tour of his “man cave” in his spacious home in Alpharetta, Rob provided humorous commentary on how his home office walls became adorned with hundreds of figures, statues, authentic helmets, posters, weapons and even clocks themed from George Lucas’ ingenious cinematic creations. Rob’s favorite Star Wars episode: “My favorite episode is the original movie from 1977, A New Hope. 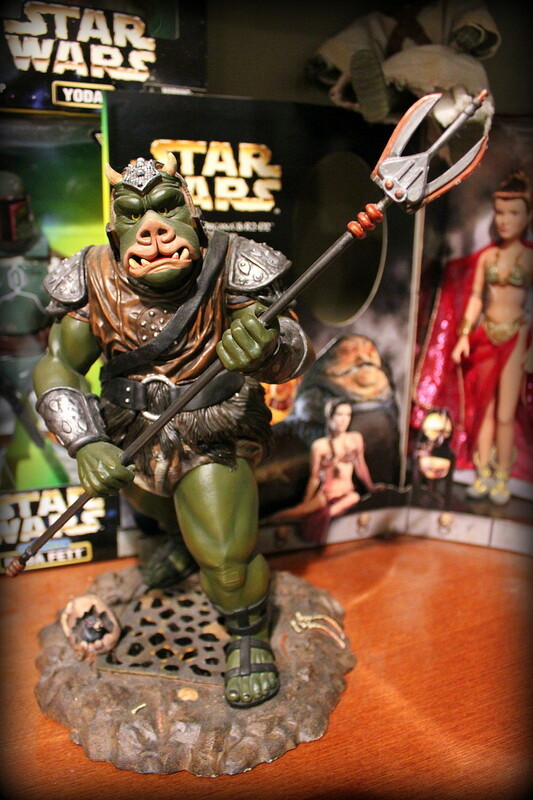 I was 13 at the time of the original release and the first time I saw Darth Vader walk into the scene, I was hooked. 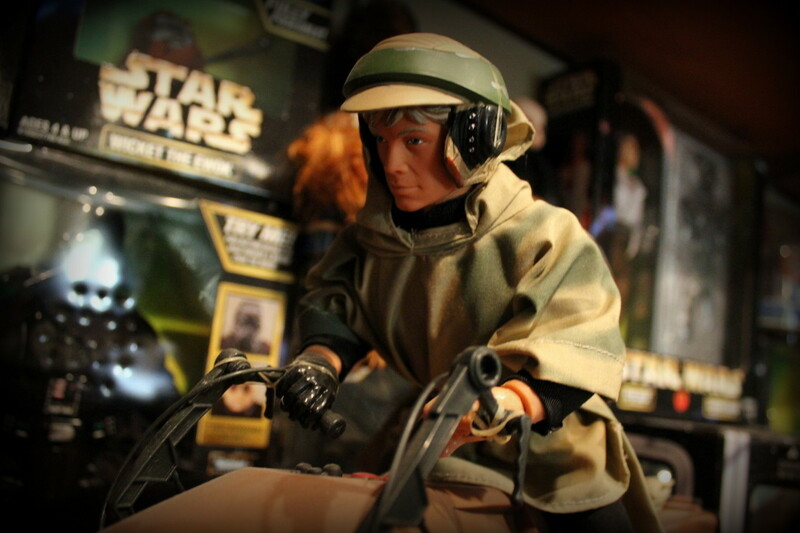 My younger brother was also hooked and we bought tremendous amounts of the toy figures as kids. We look back now and cry at how many of those figures we blew up with firecrackers or shot with our BB guns. Now I spend thousands for what I used to pay a couple dollars for. 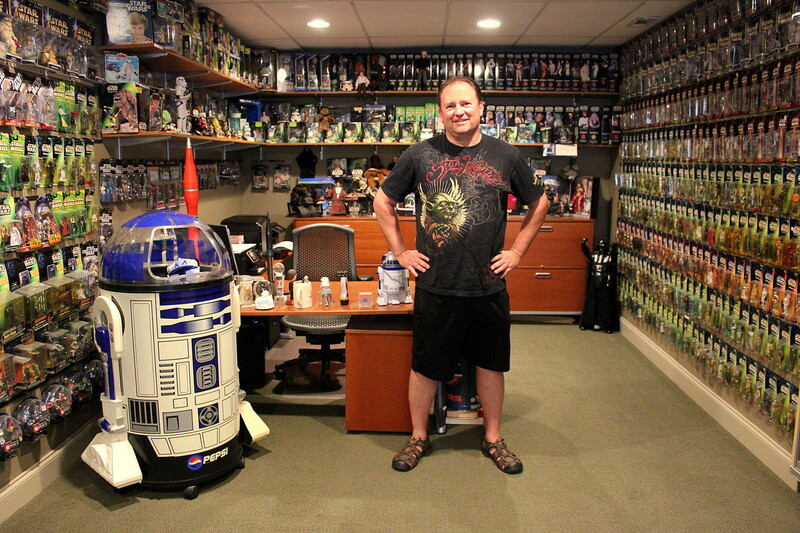 What Rob has planned for the future: “My future plans are to convert the rest of the basement into the ultimate Star Wars man cave. I am going to make a poker table that will have Han Solo in carbonite as the playing surface, convert the home theater area into the Death Star control room, and light all the areas with different colored light sabers. Once my wife reads this, I will be living in the basement anyways.